I can’t remember why I chose to buy this book. Maybe it was on sale for the Kindle. Maybe the summary looked interesting. Either way, it had been sitting in my queue of unread books on my Kindle for awhile so I decided that it was just the type of book I wanted to read. I like to mix up my genres and go from chick lit to suspense novels to memoirs and I try not to read two books of the same genre in a row. Unless two really good chick lit books come out at the same time. 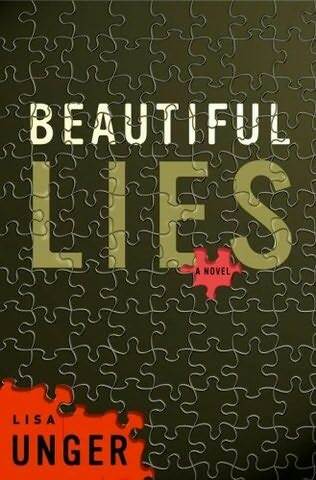 In “Beautiful Lies“, Ridley Jones is a normal 30-something woman in New York City when she gets thrust into the spotlight after saving a little boy from being hit by a car. Out of the blue, she receives an old photo of a family and a simple note asking “Are you my daughter?” Ridley is confused but asks her parents about it, who tell her she’s crazy and are offended that she’d even think that she was anything but their daughter. Right at this same time, Ridley meets her hot new neighbor, Jake, who she is instantly attracted to, although he seems a bit dangerous and Ridley really doesn’t know anything about him. I’m deliberately leaving a lot of details out, so I apologize for the short, vague summary. I tend to only read the book jacket summary when I first download a book and then leave it sit for awhile before I read it, so I had no clue what this book was awhile when I first started reading it. I think it helped add to the page-turningness (did I just make up a new word?) of the book. Some of the reviews online aren’t very positive, but I actually liked this book. The premise and the whole story is pretty unbelievable in reality, but really, what book isn’t like that? I was surprised by a few turns that the story took that I didn’t guess beforehand (which I’m usually pretty good at doing). This was Lisa Unger‘s first novel that came out a few years ago and since then, she’s released a few other books in the same suspense/thriller/mystery/whatever you want to call it genre. I will be putting her on my list of “must read more of his/her books” authors! Two books in one post! I started reading Brandilyn Collins recently because these two books were free on Kindle, of course. I like reading thriller and mystery types of books as long as they aren’t too complicated; I think I have a pretty short attention span. Both of these books were really easy to follow but definitely surprised me at the end – but I’m not saying why!! “Exposure” is is interesting because there are really two stories going on within one, each chapter alternates between storylines. In one story, a bank manager, Martin, partners with the mafia to help pull of a bank robbery, but when the mafia guy comes back to collect the cash, Martin is murdered. His wife and daughter are a witness to this and then need to figure out how Martin was involved . Once his wife figures it out, she has to figure out how to keep the mafia away so she doesn’t get herself and her daughter killed, too. In the other story, a newspaper columnist named Kaycee who writes about her own fear and paranoia. She soon finds herself in a situation where she’s questioning her fears and wondering if they’re in her own head or if it’s really happening. When a young girl that she is close to is kidnapped, the fear and paranoia gets worse until Kaycee is finally forced to confront her worst fears. I’ll let you read the book and figure out the rest! “Dark Pursuit” is about a girl name Kaitlin, a recovering drug addict, who has cleaned her life up, gotten a good job, and has a great boyfriend who is a police officer. After coming home from work one day to find a dead woman on her bed, Kaitlin knows her boyfriend is involved and is afraid for her life. 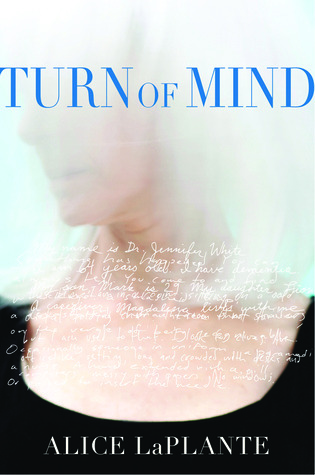 She goes to her estranged grandfather for help, who happens to be an author of crime novels. They devise a plan to keep Kaitlin safe and to confront her boyfriend, of course, things go terribly wrong. I liked both of these books, they kept me on my toes (is that possible when reading a book?) and I wanted to turn the page to see what happened next. Most of the mystery/thriller books that I like happen to have a female main character; perhaps it helps me identify with them more. Brandilyn Collins has a number of other books in this genre and most of them seem to be parts of short (three to four book) series. If all of her other books are like these two, I’ll definitely keep reading.